Home Movies Rangreza & Arth Trailer Review: Music In The Air! Pakistan’s film industry is on the brink of make or break position – with two back-to-back hits in Punjab Nahi Jaungi & Na Maloom Afraad 2, the filmdom is now in a better position. 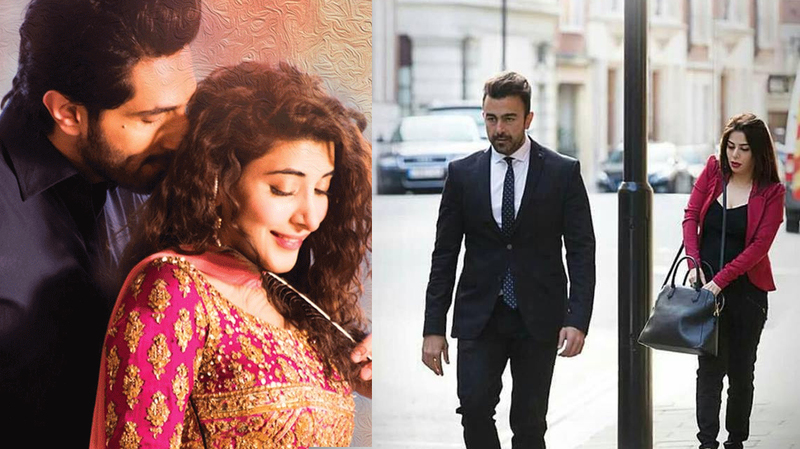 With the upcoming Verna, all is set for a good few days and after that, there are two more films that have shown some promise – Arth and Rangreza. Music seems to play an important role in the plot of both films that are set to release on the same day in the same cinemas. Let’s analyze their trailers and make a decision as to what will give which film the upper hand. Verna Trailer Review: Shoaib Mansoor Takes Filmmaking to Next Level! Let’s first talk about Shaan’s Arth which is a remake of a Bollywood classic of the same name, from the 1980s. For those who know Shaan, he has been vocal against Bollywood since he entered the filmdom way back in 1990 so to make a film on a Bollywood film is the last thing one would have expected from him. Secondly, since now he uses his surname proudly, he should have gone for one of his dad’s films who was by far a better filmmaker and a dialogue writer than Mahesh Bhatt. Plus, Riaz Shahid was a Pakistani and since for the last few years, all Pakistanis working in Indian films have been labeled traitors by the filmstar, then Shaan should be ready for the backlash as well. The best part about the trailer is the cinematography, which gives us a modern feel, something Shaan had displayed earlier in Mujhe Chand Chahye in 2000. The plot revolves around his character Ali who is a singer who returns to Pakistan ‘when he has nowhere else to go’. Then there is Uzma Hassan – who blew audience with her explosive acting in Sang e Mar Mar – playing the fan and possibly the character Shabana Azmi played in the original flick. Yes, her make up looks too much in a few scenes but she manages to cover it up with her acting. Mohib Mirza as Umar, the filmmaker shows his acting prowess in the trailer, which is not at all disappointing, considering his last flick Teri Meri Love Story bombed at the box office. There are a few romantic scenes where he flaunts his body and gives others a run for their money. Then there is Emu (Fuzon band) playing Shaan’s friend who supports him on his return to Pakistan. However, Humaima Malik looks a little out-of-context here because while the three characters live on this planet, she appears as one from out of this world, literally. She is by far one of the most beautiful actresses around but a little toned down personality would have helped. One hopes that Shaan manages to regain his lost glory as a modern-day Riaz Shahid with Arth and come up with a film that stays in mind like Mujhe Chand Chahye, rather than Moosa Khan and Daku. While Arth revolves around a singer on his way back, Aamir Mohiuddin’s Rangreza goes the other way and shows the way up of a singer played by Bilal Ashraf. He falls in love with Reshmi played by Urwa Hocane who is not just a pretty face but also interested in music as Bilal’s character. Then there is Waseem played by Gohar Rasheed and the mere mention of that character will send chills down your spine after you are through with the trailer. He plays a singer as well but from a poor background who gets angry at will and sometimes for no reason. The story revolves around all three who seem to be into their characters rather than playing themselves. Kudos to the director for not revealing the story much so that people would be interested in knowing what happens next when the film releases. It was good to see Salim Mairaj, Akbar Subhani, Imraan Peerzada and Shahid Nizami in roles that suited them, giving the film an authentic look. Like Arth, the film’s story revolves around music and how it affects the characters who are associated with the field. Rangreza might win the battle of the trailers here since it revolves around more characters but don’t forget that Shaan will do anything to make his comeback worthwhile. Waiting for both the films, releasing on December 21st with fingers crossed. Previous articleJackie Chan & His Successful Collaborations!